We are an acknowledged enterprise engaged in offering Four Color Book Digital Printing Services to our clients. The book size, paper used, binding type is specified by the client and the finished books are delivered to the client. Get your book printed within 24 hours. 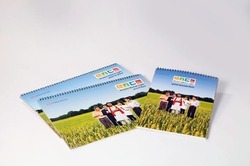 Being a most reliable organization, we are engaged in offering Digital Printing Service. - Special focus towards the printing brochure, cards, etc. This is the latest design in digital print with peacock style in it. It ensures cent percent color fastness with attractive color combination . Best quality of Fabric Digital Printing Service is provided by us to customers as per their requirements. Our offset printing unit is equipped with latest state of art computerised machinery with eight printing heads. 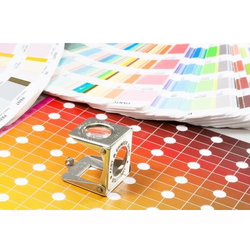 We specialise in full colour quality printing and are able to handle sizes from 5"x7" to 19"x26"
We offer UV Printing to our valuable customers. Print directly on glass with any image and give you home / office a unique and personal touch. Print directly on any flat surface like Acrylic, Glass, Ceramic Tiles, Canvas, Aluminum Composite Panel (ACP), Veneers, Sunmica, Vinyl, Flex, Sun board / Foam boar etc.